Sundance Institute's Indigenous Program Director N. Bird Runningwater and ISFI's Managing Director Anne Lajla Utsi announcing the new partnership. BERLIN (February 11, 2019) — International Sámi Film Institute (ISFI) is pleased to announce a new partnership between Sundance Institute’s Indigenous Program around the establishment of the Arctic Indigenous Film Fund. This new partnership has the ability to strengthen Arctic Indigenous film as Sundance Institute provides and preserves the space for artists in film, theatre, film composing and digital media to create and thrive. The new partnership was announced by ISFI Managing Director Anne Lajla Utsi and Sundance Institute Indigenous Program Director N. Bird Runningwater during the Sámi reception hosted by ISFI and Norwegian Film Institute at the 69th annual Berlinale Film Festival’s (NFI) in which Norway is the Country in Focus at the European Film Market. Following President and Founder Robert Redford's original vision, Sundance Institute has remained committed to supporting the voices of Indigenous artists. Sundance Institute is a non-profit organization dedicated to the discovery and development of independent artists and audiences. Through its programs, the Institute seeks to discover, support and inspire independent film, media and theatre artists from the United States and around the world, and to introduce audiences to their new work. 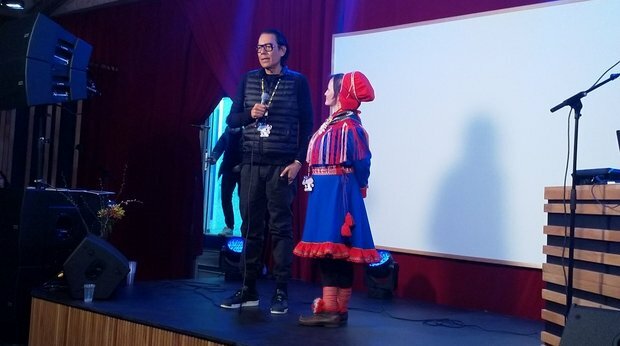 The International Sámi Film Institute is dedicated to providing Sámi people with the skills and economic opportunities in developing, producing, and distributing Sámi films in the Sámi language. In addition, the ISFI is an institute for promoting cooperation and encouraging productions with other indigenous filmmakers and organisations internationally. Sundance Institute’s Indigenous Program champions Indigenous independent storytelling artists through residency Labs, Fellowships, public programming, and a year-round continuum of creative, financial, and tactical support. The Program conducts outreach and education to identify a new generation of Indigenous voices, connecting them with opportunities to develop their storytelling projects, and bringing them and their work back to Indigenous lands. At its core, the Program seeks to inspire self-determination among Indigenous filmmakers and communities by centring Indigenous people in telling their own stories.